There are only two living authors whose new work I would buy in complete faith, without knowing anything about the book. They are Doris Lessing and Salman Rushdie; they have, through the sheer undeniability of their talent and courage, earned the highest level of my trust. I don't expect that every work of theirs will change my life, but I know for sure that whatever they do will be admirable, provocative, worthy of my time. There are many musicians and groups whose work I am consistently interested to hear, but music is more ephemeral than literature. It's acceptable to listen to a single song, and not its whole album, in ways that are unacceptable with a work of literature. We may place great value on popular music that only transports us, rather than transforming us. There is a difference both in kind and in degree. There are, however, a select few musicians whose work I do regard in the way I regard Lessing and Rushdie. They, too, have earned the highest level of my trust through the sheer undeniability of their talent and courage. Alas, many of them are no longer active. If Cocteau Twins reunited, or Smiths, or Siouxsie & The Banshees, I would buy their new work in complete faith, sure that it would be admirable, provocative, worthy of my time. 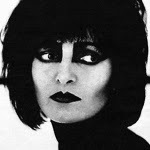 The prognosis for Siouxsie & her Banshees is even more dire, lately, since she has divorced from Banshee drummer Budgie and dissolved the second greatest of her projects, Creatures, on which they collaborated. But this phenomenal woman shows no signs of stopping, and her first completely solo album, Mantaray, is in no way the consolation prize for relinquishing her bands; it's the exciting new chapter in her relationship with me, and legions of her fans. (Say what you will about the darker corners of alternative music; those fans are astonishingly dedicated, and I make no claim to the upper tiers of rabid fandom.) Throughout the past three decades, Siouxsie has repeatedly surprised us, challenged us and expanded us; even though we couldn't predict what she would send us this time, there's no way we would turn it down. But I would have purchased Mantaray without having heard a single note of it. Of course, it's hugely gratifying that I was already in love with the album before it went on sale yesterday; I might have had to write a rather different post about accepting the clay feet of a cherished idol... I won't review the album because there is already no shortage of reviews, and they seem for the most part to be appropriately both reverential and discerning. I enjoy feeling that I perceive Siouxsie as a woman and a force of nature, a pop musician and an icon, a persona and an aesthetic unto herself. Her music is inextricably entwined with my life, and that is the strongest endorsement I can make.